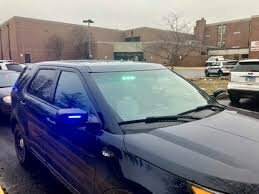 Urbana police officers and medical personnel were called to Urbana High School for a report of a fight and a teacher that was unconscious. Officers arrived on scene one minute later and located a large fight in the main hallway of the high school, near the cafeteria. Police said they also located a teacher in need of medical assistance on scene. Officers broke up the fight and tended to the teacher. 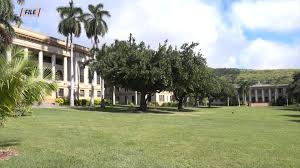 Police said following an investigation of the incident, two groups of students engaged in a fight near the cafeteria. 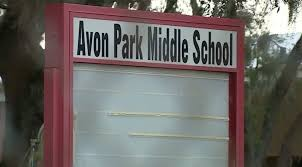 A teacher attempted to break up the dispute but appeared to police to have been battered. The teacher fell to the ground and several students fell on the teacher accidentally, according to police. A total of eight arrests were made Monday afternoon – seven of which were juveniles and an adult who had come to the school, 35-year-old Adrian C. Pettis, of Urbana. Pettis was arrested for resisting/obstructing a peace officer. Police said further charges and arrests could still be forthcoming. School will resume as normal Tuesday at Urbana High School. Students at Urbana High School were dismissed early after police received reports of a fight. Officials said students were released at 1:25 p.m. Monday. Urbana Police Department, Champaign Police Department and University of Illinios Police were called to the scene. The school did go under a soft lockdown when police were on scene. As of around 2 p.m., police were still on scene at the high school. Officials also cancelled all school-related activities; however, the scheduled staff meeting is still going on as planned. Urbana police said they can’t release any more information on the reported fight at this time.